I must take this opportunity to let everybody know, that today, 75nzsquadron.com passed the incredible milestone of 500,000 views. This amazing figure has taken almost 7 years to reach, but it has truly been worth the wait, given the amazing journey that many others and I have enjoyed in the mean time. The growth and success of the blog has really been remarkable – I have said it before – but I certainly never dreamt that it would grow the way it has and been able to engage so many people – as I write, the blog contains 721 posts, is followed across all platforms by 852 people and has been visited over 123,000 times. The interest in the Squadron seems unabated and it’s my plan to get back to the old days of regular posts – we have a lot of new material in the pipeline which will all be share in due course. We have now complete all the large structural projects, so as new information appears, it can all be added to what is possibly the most detailed record of an RAF Bomber Squadron that exists. Five and a half years ago I began the slow transcription of the Squadron’s Form 540 “Operations Carried Out” for the duration of 75(NZ) Squadrons existence. Many have contributed, but special thanks must go to Hubert, David and Brian for their protracted efforts to complete certain years. In recent months I have turned my attention to 1942, and the latter months of 1940 – finally it is finished. 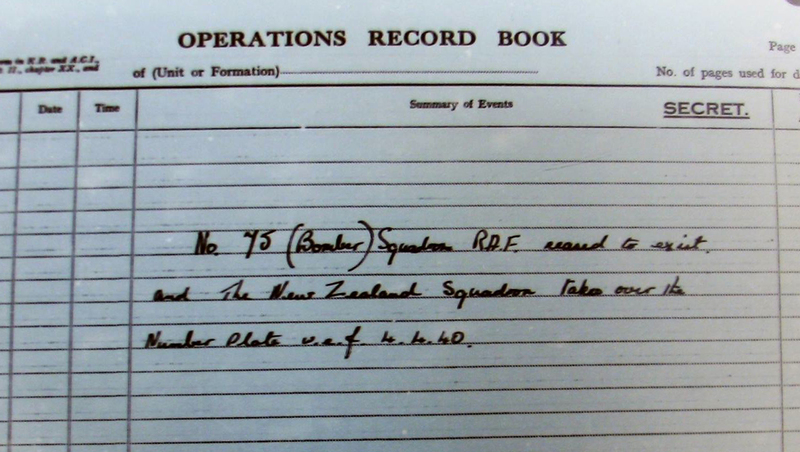 Whilst other Squadrons have already had their diary documents transcribed in whole, this is the first time that it has been achieved for 75(NZ) Squadron – an other first for the site! I have also added a little navigation to make the reading of the individual months a little easier. Clicking in the “75(NZ) Squadron RAF Records” section in the top menu and then clicking on any specific year will give you a page with links to all months in that particular years (as opposed to holding on a year to get the jump off menu that will take you to a certain month). In addition, at the foot of each month is a link which will take you automatically to the next month – at December you will progress to the following year. 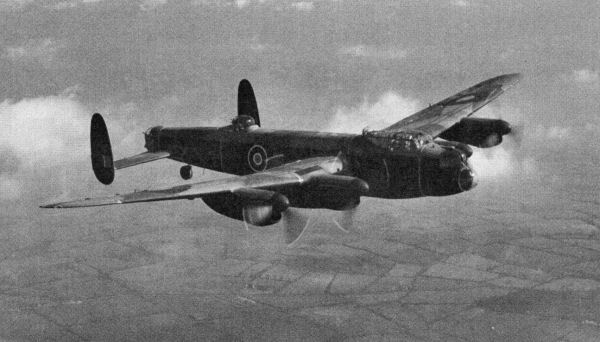 This entry was posted in general and tagged 500000 views, 75(NZ) Squadron RAF, Ake Ake Kia Kaha, Aviation, Bomber Command, Feltwell, Form 540, half a million views, Mepal, Mildenhall, Newmarket, Project ORB, World War 2 on May 31, 2018 by 75nzsquadron. Many thanks to Brian for his stalwart efforts with regards to the 1940 Operational Record Books – and I am pleased to announce that July is now complete and can be viewed here. I must confess, my efforts in the past few years to complete the database and the subsequent creation of the Crew Op History pages has at times perhaps let me forget the ORB project. However, existing as it does as the primary record and reference for the Squadron’s activities during the War, it’s a resource that needs to be valued and ultimately, it’s transcription needs to be completed. Please, if any of you out there want to help, contact me – there is still a lot to do, but, relative to the number of people who follow this blog, and reflected in this, a daily traffic of about 200 views, the task could actually be completed in perhaps a couple of months………. This entry was posted in general and tagged 1940, 75(NZ) Squadron RAF, Aviation, Bomber Command, Feltwell, Form 540, July 1940, Project ORB, World War 2 on June 8, 2016 by 75nzsquadron. A massive continuing thanks to Brian for his ongoing efforts with the 1940 Form 540 – June is now added to our collection for your perusal. Slowly, but steadily the 540’s for the War are coming together – but there are still a lot of months to do – so if you want to step up and join Brian and others, then please contact me! Read Form 540 June 1940 here. This entry was posted in general and tagged 1940, 75(NZ) Squadron RAF, Aviation, Bomber Command, Feltwell, June 1940, Operational Record Book, Project ORB, World War 2 on July 5, 2015 by 75nzsquadron. A massive thanks to Bryan for his efforts to complete the Form 540 for June 1943. Those of you that are familiar with the Form 540 ‘Summary of Events’ for the Squadron will know that in particular, 1943 is an amazing research resource, detailing as it does all crew movements in and out of the Squadron for that year. While other early years also contain this information, the sheer size of the Squadron by 1943 means that while this is a fantastic research reference, it simultaneously represents a nightmare for anybody undertaking a transcription of a month – having done a few months for 1943 myself, I take my hat off to Bryan for having the patience to complete June. So another month is added and Project ORB slowly rolls on to completion. If any of you are reading this post and fancy having a go at one of the 4 remaining months from 1943 – please contact me – you are more than welcome! View the Form 540 for June 1943 here. This entry was posted in general and tagged 1943, 75(NZ) Squadron RAF, Aviation, Bomber Command, June 1943, Mepal, Newmarket, Operational Record Book Form 540 Summary of Events, Project ORB, World War 2 on January 30, 2015 by 75nzsquadron. My continuing thanks to Brian for his sterling single handed efforts with Operational Record Book for 1940 – May 1940 has now been added to the ‘Squadron Records’ section of the blog. This entry was posted in general and tagged 1940, 75(NZ) Squadron RAF, Aviation, Bomber Command, Feltwell, May 1940, Operational Record Book, Project ORB, World War 2 on January 4, 2015 by 75nzsquadron. Continuing thanks to Brian for sending the first 4 months of 1940 for the Squadron Operational Record Book Archive. These early months of 1940 record not only the disbandment of No. 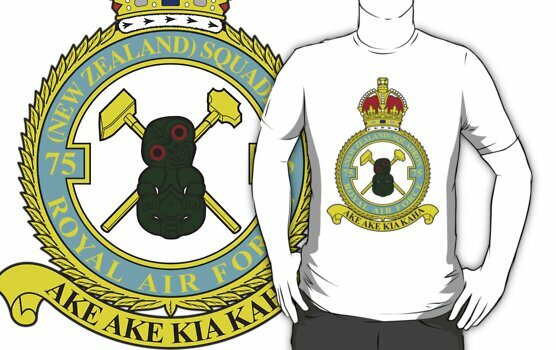 75 (Bomber) Squadron, but also the 3 months that saw the change of the ‘New Zealand Squadron’, to 75(New Zealand) Squadron. 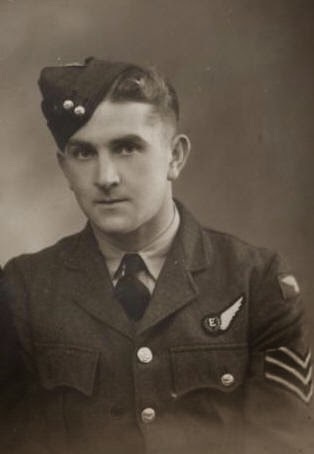 As Brian notes in his transcription for the month of April 1940, on the 4th of that month, there is no record of the fact that the Squadron changes it’s name from ‘New Zealand Squadron’ to ’75(New Zealand) Squadron. View January to April 1940 – No. 75(Bomber) Squadron here. View February 1940 – New Zealand Squadron here. View March 1940 – New Zealand Squadron here. View April 1940 – New Zealand/ 75 (New Zealand) Squadron here. This entry was posted in general and tagged 1940, 75 (New Zealand) Squadron, 75(NZ) Squadron RAF, April 1940, February 1940, Feltwell, January 1940, March 1940, New Zealand Squadron, No. 75(Bomber) Squadron, Project ORB on October 3, 2014 by 75nzsquadron. No.75 Squadron, RFC, was formed at Goldington (Bedford) on 1st October 1916, as a Home Defence unit. Its first equipment consisted of the usual collection of single- and two-seat BE types, but it later received Avros and then Sopwith Camels. Disbanded in Essex in 1919, the squadron was re-formed in 1937 as a heavy bomber squadron but in March 1939, became a Group pool squadron or, in other words, assumed the role of what was later known as an operational training unit. Soon after the outbreak of war the squadron was posted to No.6 (Training) Group and on 4th April 1940, its number plate, with the letters “NZ” added, was transferred to a Royal New Zealand Air Force heavy bomber flight which was based at Feltwell, Norfolk, a station in No. 3 Group. View No. 75 (H.D.) Squadron 1916 – 1919 here. View No. 75 (Bomber) Squadron RAF – 1937 here. View No. 75 (Bomber) Squadron RAF – 1938 here. View No. 75 (Bomber) Squadron RAF – 1939 here. This entry was posted in general and tagged 1916, 1917, 1918, 1919, 1937, 1938, 1939, 75 (Bomber) Squadron, 75(H.D.) Squadron 1916-1919, 75(NZ) Squadron RAF, Elmswell, Goldington, Harwell, Honington, North Weald, Project ORB, Stradishall on September 22, 2014 by 75nzsquadron.